Since the mod has been in (sort of) a testing phase for a while now there hasn't been a lot of significant content updates and that kind of shows in these newsposts. Not a lot of new stuff, more wrapping up things shown over past few months in one nice package. For those who have not yet seen them, the conclusion of both the Hero Spotlight and Experimental Weapons Test showcase series are available for viewing at Youtube. There's also a picture with all of the Experimental Units shown on it, combined with a chart that displays under what conditions you get each of them. Stolen technology involves infiltrating both a tier 3 laboratory structure and a vehicle factory, as a reminder. A little while ago the fourth terrain theater to be included in Project Phantom besides Temperate, Tundra and Desert was revealed. The so-called Gloomy theater combines certain elements from both Temperate and Tundra, featuring withered landscapes combined with urban environments consisting primarily of darker pavement and unique cliff-face tiles. When initially announcing the mercenary factions, it was stated that capturing Crimson Crown's Technology Vault grants access to one of three unique units, depending on your chosen faction. However, in testing most of these unique units were deemed redundant, not unique enough or simply not worth it at all. 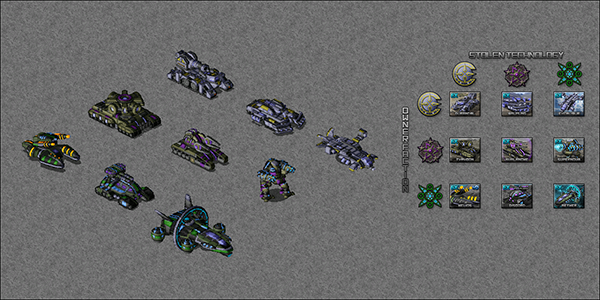 As a result, capturing the Vault will now instead grant players who have any tier 3 laboratory building and vehicle factory an access to Blackout Signal Inhibitor, a mobile unit limited to one per player that generates a jamming signal with significant radius that blocks use of enemy support powers and superweapons, as well as jams radars and captured Satellite Centers. In addition to this, Blackout can also detect cloaked units at ranges higher than any other unit capable of doing so and use an electromagnetic interference weapon to stop a single, EM-susceptible unit from working at all. Technology Vault also grants Prototype Disruptor Towers, that use a similar but slightly different type of jamming signal to generate blank spots in enemy radar views to shroud the area in their vicinity. 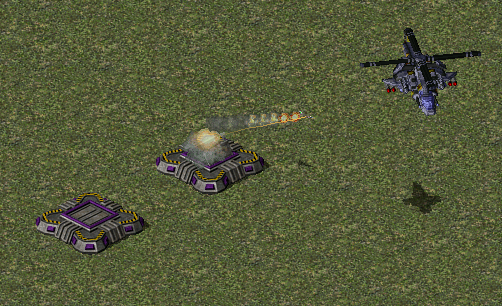 They are deployed via a support power, and will eventually, due to being unstable prototypes, explode upon itself regardless of if they are being fired upon (this is displayed via a timer bar under the structure itself to all players). 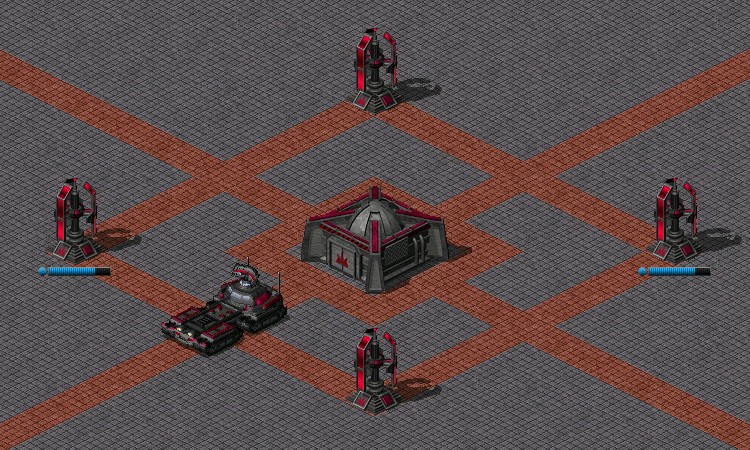 Lastly, to round out the capturable base defenses roster, there is an addition of a heavy-duty anti-air defense in form of Missile Bunkers, which work more effectively against slower-moving, heavily armored aircraft than fast ones such as fighter jets. That's all of it for this time. I have something bit bigger planned for the next news post, so keep your eyes out for that. 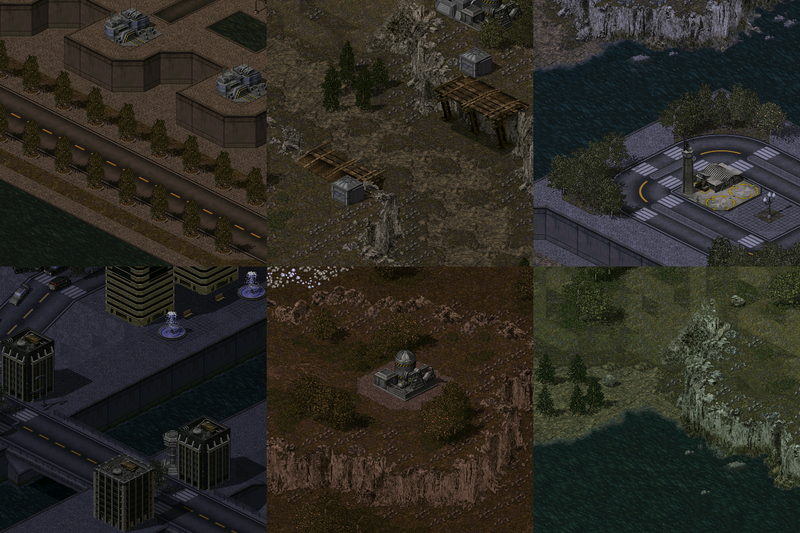 Project Phantom is a game modification for Command & Conquer Red Alert 2: Yuri's Revenge, powered by Ares. Command & Conquer, Red Alert 2 and Yuri's Revenge are trademarks of Electronic Arts Inc.
Project Phantom site & content © 2007-2019 Starkku / Project Phantom team. Actual mod assets are credited to their respective authors. Please do not take, copy or use site content without an explicit permission. Twitter Feed script based on work of Kevin Liew. Media page image gallery powered by Lightbox.